We clean windows at commercial and residential properties across the East Yorkshire region. We clean the roof, gutters, UPVC and all the glass to make your conservatory look as good as new. A family business established in 1995 we primarily offer a commercial and residential window cleaning service as well as other services. We have the experience to keep your property looking at its best. We pride ourselves on quality of work and a trustworthy relationship with our customers. We treat each property respectfully and much of our work is through recommendation. We have full public liability insurance and recently acquired a City & Guilds level 2 in Cleaning and support services from training with Impact 43. Safety is a priority to us for the public and ourselves. We have a varied and expanding customer base from smaller to large residential properties as well as shops, public houses, health surgeries and larger industrial and commercial clients. 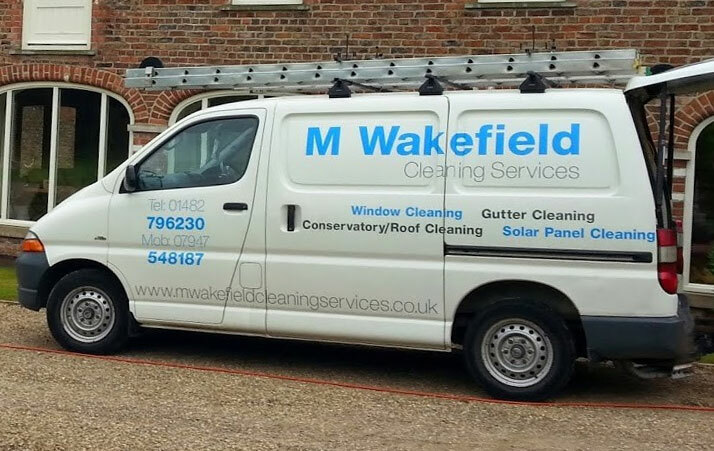 A family business established in 1995 we primarily offer a commercial and residential window cleaning service as well as other services listed on our service page. We pride ourselves on quality of work and a trustworthy relationship with our customers. With nearly 20 years in the window cleaning industry we have the experience to keep your property looking at its best. We treat each property respectfully and much of our work is through recommendation. We have full public liability insurance and recently acquired a City & Guilds level 2 in Cleaning and support services from training with Impact 43. Safety is a priority to us for the public and ourselves and so we risk assess each job to decide the safest and most practical way of cleaning. We have a varied and expanding customer base from smaller to large residential properties as well as shops, public houses, health surgeries and larger industrial and commercial clients. Call us for a free quotation. Mark gives a friendly, reliable and good quality service. Our windows have never looked so clean-they sparkle. He also does a marvelous job when cleaning our conservatory. Highly recommended.